Still looking all over the web for the cheapest place to find Quest protein bars? If so, your search is over! We’ve taken a look at the available offers for Quest bars, and have figured out the best place to go for a good deal. Read on for the best price on Quest bars that we’ve found so far. Fortify yourself with what we’re all looking for, the highest amount of bioavailable protein and the least amount of sugar. Buy Quest Bars In Bulk And Save! By far, the most reliable way to get a discount on Quest bars is to buy them in bulk. If you’ve ever been to a big box bulk store, you’ll already have seen that the best prices for products are when you buy in bulk. The economy of scale, they call it. There’s only one bad thing that you gotta think about buying food stuff in bulk. And that one thing is the flavor. No one wants to get stuck with 48 protein bars in a flavor that they hate. When buying a new flavor for the first time, it’s always a good idea to go smaller with your order, to make sure that the flavor agrees with you. Variety packs are a great way to introduce yourself to the available flavors, with making the huge commitment of buying one flavor in bulk. Quest Bars help you feel full and aid digestion and weight loss. 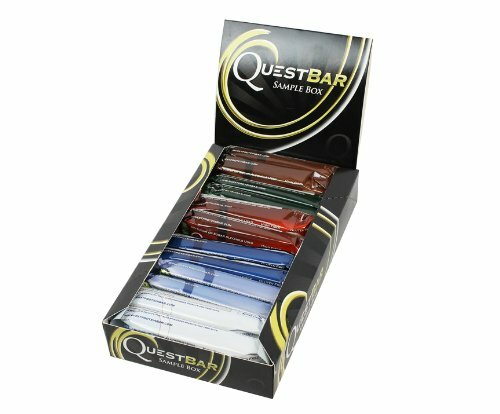 Are there any coupons for Quest bars that actually work? You may have seen all the offers around the net of coupon codes to sites like iHerb for 10% off of a box of Quest bars. What they don’t tell you though, those codes are only good for 1st time customers and is not a deal that you can get over and over, like a bulk discount. Quest bar alternatives – is there a cheaper option? There is a cheaper option! 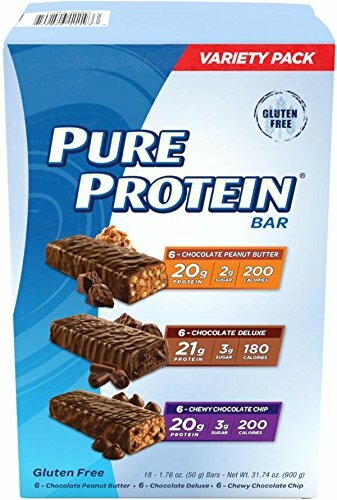 Pure Protein makes a very similar in macro bar, and it’s super cheap at less than or close to $1 per bar. Pure Protein bars have only 2-3 grams of sugar (depending on flavor) are high in vitamins and have only about 200 calories on average across the selection. These stats (especially the price) make them an excellent competing option for Quest bars. Are the offers you see all over the place for free Quest bars really legit? The answer is YES, Quest themselves actually run these free sample promotions from time to time, but in limited quantities.